Did you notice our business went through some changes this year? We’ve changed our logo and retail store names, with the customer in mind. If you wondered why, I’d like to share. First, a little background about our farm. The ledger of purchase of the farm and an early image of the land. The farm came into the family on Jay Hansen’s mother’s side. Our farm has been in the family for 152 years, since 1864. For most of that time, our ancestors operated a self-sustaining farm with many different animals and crops. It wasn’t until the 1950s that the farm started specializing in dairy. The Hansen family, circa 1995. I’m sure they love that I’m using this photo. In 1975, Jay and Jeanne Hansen began raising their four sons, Brent, Brad, Blair, and Blake, and their daughter, Lynn, on the farm. As the children grew up, Mom and Dad encouraged them to explore other paths besides working on the home farm. They never wanted them to feel like working on the farm had to be their lot in life. Career options among the siblings included cow hoof trimming, teaching, and yes, even managing cows on other dairy farms. But in 2000, Jay and Jeanne began to discuss the idea of retirement. The days get long and the bodies get tired. If no one was going to carry on the dairy tradition, the cows could be sold. But the sons didn’t want to see that happen. The idea of opening an on-farm creamery was tossed around to add value to the milk; if successful, the family could capture more of their hard-earned profits, instead of shipping it off to the middlemen in the dairy supply chain. They could also support the five families on nearly the same number of cows. Hansen’s Farm Fresh Dairy was born. The first gallons of whole milk coming off the line in 2004. The creamery opened in February 2004. Jay and Jeanne mortgaged their retirement on this venture, and each brother had his own responsibilities to make it go. Blake, my husband and the youngest brother, would care for the dairy cow herd; Blair would manage the cropland and livestock nutrition; Brad would operate the creamery; and Brent would deliver the products to area grocery stores, eateries and care facilities. 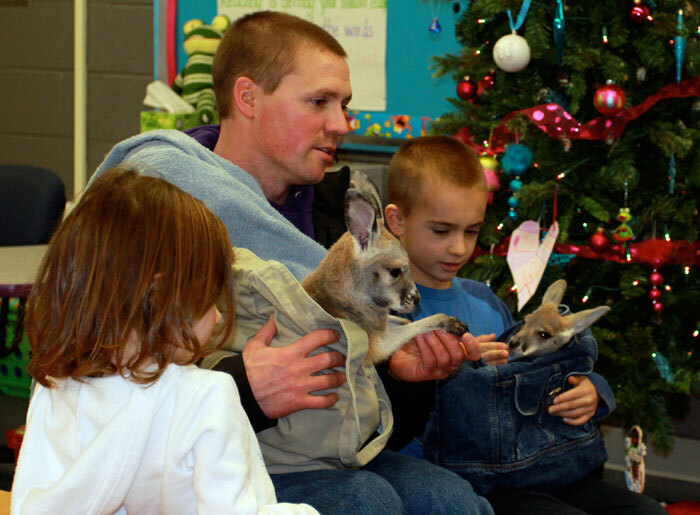 In 2006, the family decided to open their first retail store: Moo Roo in Waterloo. 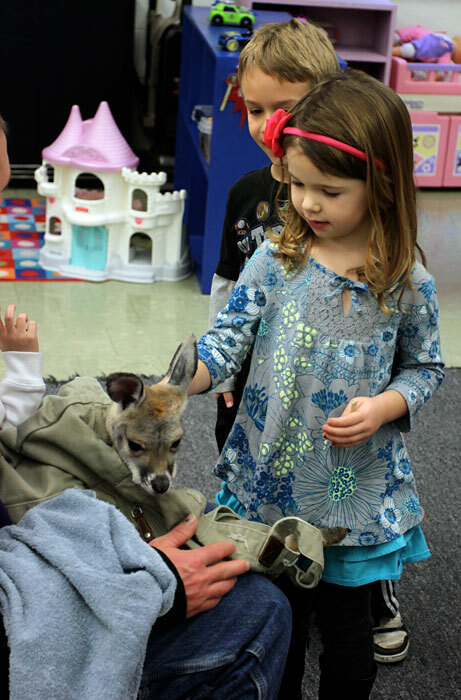 The logo had always been a kangaroo, as Blake loved the marsupials he saw on a trip to Australia and wanted to have them as pets. With several wallabies (miniature kangaroos) on the farm, it was an obvious choice for a product logo that would stand out on the shelf. The new store name reflected the combination of cows and kangaroos on our farm. With the success of that store, we thought another store in Cedar Falls would open more eyes to our local product. However, Moo Roo had a hard-dip ice cream parlor, in addition to selling our products and other local goods. The Cedar Falls store was thought to be sort of temporary, a place to sell surplus milk that we had due to our milk staying at a fixed price while other dairy prices were on the rise. We hoped consumers would try our milk for the price and be hooked on the taste and local aspect. So, our Cedar Falls store was named Hansen’s Farm Fresh Dairy Outlet so people would know it was not exactly the same footprint as the Waterloo store. Fast forward to 2014. Business at both stores was good; the Outlet was no longer temporary but an important fixture in our overall business plan. Another opportunity arose — buying the building in which our Outlet was located, along with a gas station and Chinese restaurant. Since we loved our location, we decided it was a good choice. But this year, we decided to leave the Conoco name behind. Hansen’s was already well-known in the community, so we didn’t need the benefit of the name recognition provided by a large corporation. And by cutting ties with Conoco, more of the customers’ dollars would stay in the local community. Meanwhile, someone in the marketing department here (ahem) had been thinking about our logo. It was 10 years old; the colors were drab, it had a lot of words and a complicated kangaroo/cow-in-her-pouch image. With growth comes the opportunity for a fresh start. Mike Tyer of Cohesive Creative and Code in Hudson (a fellow graduate of mine at Wartburg in 2003) designed several new possibilities for us. In the end we went with a logo reminiscent of old-time milk bottle caps; I loved the feeling of a wholesome, simpler time. 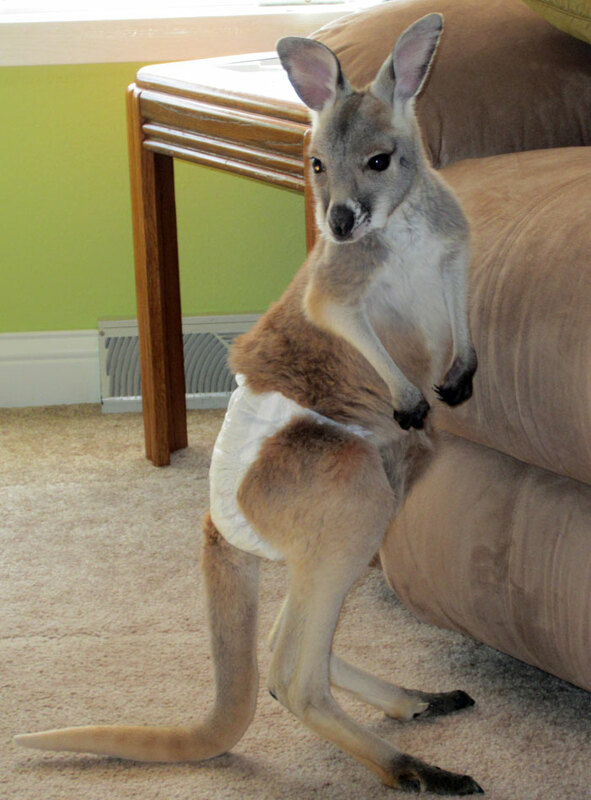 The kangaroo remains, but there is no cow in the pouch. 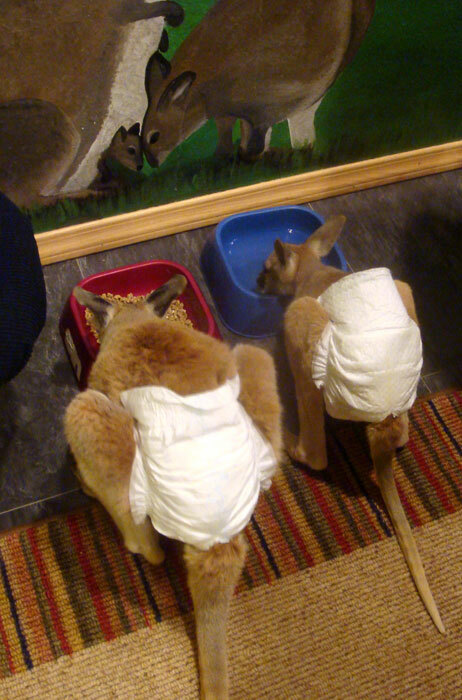 We hope by now that people know the milk comes from the cows, not from the kangaroos. 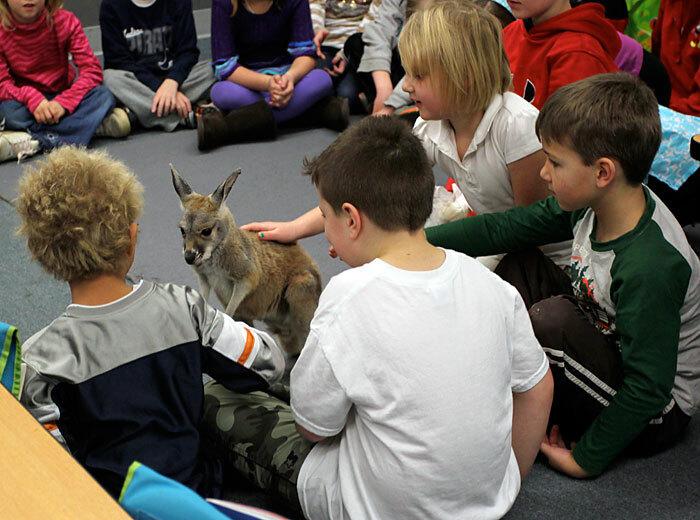 Just like a duck and a gecko can advertise insurance, and a tiger can advertise frosted cereal, a kangaroo can sell milk. We removed the words “farm fresh” (even though you know it still is) and more prominently featured our name. Now for the retail stores. The name Moo Roo is, of course, cute and clever. But I was beginning to wonder: Do people on the street know that the store is more than just an ice cream parlor? That it primarily sells Hansen’s Dairy products, made just down the road? And that there are all kinds of local meats, cheeses, produce, snacks, locally crafted gift items and more available here? The idea of having a new logo was met with resistance by some in our family (even my own husband). But I firmly believe the new brand will help us be more consistent across every facet of our business. By leaving behind the Conoco name, we had to create new signage for our Cedar Falls site. At the same time, the Moo Roo landlords were putting a new facade on our building. What excellent timing. We would put up new signage featuring our rebrand at the Cedar Falls site, and use the opportunity of a fresh start at Moo Roo to put up new signage there, too. It’s been a long two years of Kimball Avenue road construction and building/parking lot improvements. 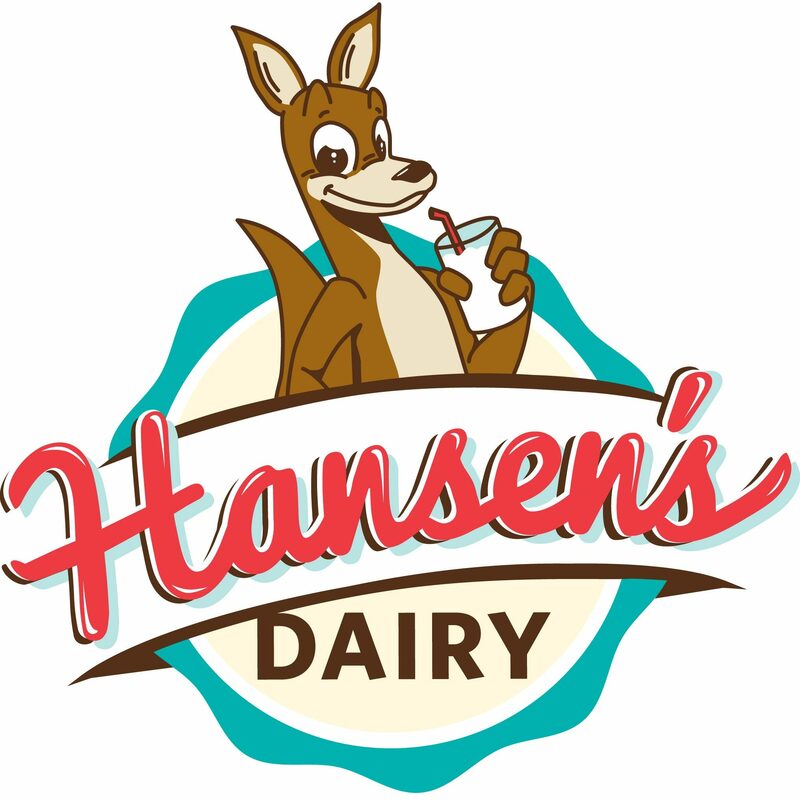 Now we are officially Hansen’s Dairy stores, located in Waterloo and Cedar Falls. You can still call it Moo Roo. The family will still casually call it that, and we know others will too. But inside still has all the same goodness it has always had, and the Cedar Falls store will only get better. If you don’t grow, you’re losing ground. You can bet the farm on it.